On a searing hot day,the pavements of the city are clogged with hawkers, vendors and innumerable pedestrians.The roads are jam packed with hooting vehicles: truly the hustle and bustle of a city. That is a moment on a street in the heart of Kampala city. The erstwhile hunting grounds of a traditional monarch are now springing with all sorts of activities. Mutesa I, the Kabaka (king) of Buganda, had chosen the area that was to become Kampala as one of his favorite hunting grounds. The area was made up of hills and wetlands. It was an ideal breeding ground for various game, particularly a species of antelope, the impala (Aepyceros melampus). When the British arrived in the area they called one of the hills ‘The Hill of the Impala’ due to the large presence of impala. The native Baganda used this reference in their local dialect (Luganda) – ‘Akasozi K’empala” and when the British colonial rulers needed a name for the city they adopted this reference. The city grew as the capital of the Buganda kingdom, from which several buildings survive, including the Kasubi Tombs (built in 1881), the Lubiri Palace, the Buganda Parliament and the Buganda Court of Justice. Severely damaged in the Uganda-Tanzania War, the city has since then been rebuilt with constructions of new buildings including hotels, banks, shopping malls, educational institutions, hospitals and improvement of war torn buildings and infrastructure. Traditionally, Kampala was a city of seven hills, but over time it has come to have a lot more. The Uganda Museum is one of the Kampala attractions that displays Uganda’s cultural heritage and here you will be able to see the ethnological and natural-historical exhibitions. The Uganda Museum which was founded in 1908 in Kampala has exhibits of traditional culture, archeology, history, science, and natural history. It regularly presents performances of traditional music. It is a vivid reminder of the country’s colorful past. One of its most interesting features is the collection of traditional musical instruments, which you are free to play when you visit.The museum contains other rich materials from Uganda and is a must see. The national museum also houses a collection of maps, periodicals, photographs and literature about history, culture, travel and science. The Bahai Temple, the only one in Africa, built between 1957 and 1960 is located about 7 kilometers from Kampala city center. You will be awed and amazed not only by its architectural splendor, but also by the beautiful natural environment in which the temple majestically stands. Perched at the top of Kikaya hill, Bahai temple can be seen from many of Kampala’s hills the city’s suburbs. It is a holy worship place for Hindu believers. Old Kampala Mosque is one of the biggest and oldest mosques of Uganda with a beautiful view over Kampala. For a small fee you can visit the mosque and the towers as well. It is built in Old Kampala a place that has many other olden buildings put up in the earlier days of Kampala. The Cathedrals: Rubaga cathedral and Namirembe cathedral sit atop these two respective hills in the city. The first Catholic and Anglican missionaries pitched camp on these hills at the advent of their missionary to work to Uganda. Both churches are built with exquisite design and command perfect views of their environs. One of the crafts villages is behind the National theatre on Dewinton Road and the other on Buganda Road opposite Hotel Triangle Kampala. If you wish to browse through bountiful unique and witty souvenirs made by Ugandans or imported from the neighboring countries, this is the place. Be ready for hours of sheer viewing pleasure. You will find Owino Market between Nakivubo place and kafumbe Mukasa Road. Owino market is the place to buy designer clothes and shoes if you don’t mind them being second-hand.The experience is fascinating. You will learn how traders sort, clean and resize clothes before reselling them in such crowded spaces. Masaka Road, left turn at King’s College, Buddo.The panoramic hill top at Naggalabi Buddo is the historic heart of Buganda. It was here that the kingdom began, at the dawn of the 14th century and where every Kabaka is still crowned to this day. Hoima Road, right turn from Nakulabye round-about.Set on a hill top in beautiful surroundings, Wamala King’s Tombs are the sacred burial place of Kabaka Suuna II.Kabaka Sunna was a powerful ruler, with a fearsome reputation for punishment.His death heralded a golden age by bringing Kabaka Mutesa I to the throne.Kasubi tombs are the official burial grounds of fallen Buganda monarchs. The tombs are now being refurbished after being destroyed by a fire in 2010. Kabaka’s lake: It is the largest manmade lake in Africa. It was dug in the 19th century on the orders of Kabaka Mwanga (then King of Buganda) to create a channel between his Munyonyo and Lubiri palaces. It has long since become a tourist attraction and a bird hub. When walking from Bulange – home to Mengo office, pay attention to the round-about – the straight road in the middle is for Kabaka’s (King’s) use only, as the local superstition says the King must not turn a corner on this route. Half-way from the round-about towards Mengo, you will find a large garden on the right-hand side.This is home to several large tortoises. If you want to take a picture of these elderly giant beauties, have some fruits for the tortoises and some money for the keepers. Left turn off Jinja Road at Kireka.The spot where more than 20 newly converted Christians were burnt alive in 1886, following the command of Kabaka Mwanga II after refusing to renounce the white man’s religion.Majority of the martyrs were Kabaka’s pages and were sent to death for his fear of losing the throne. If you’re interested in traditional dance and music, you can catch a performance by the Ndere Troupe especially on Wednesday, Friday and Sunday. 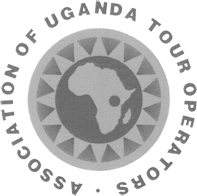 It’s composed of members of the many ethnic groups in Uganda and has gained international acclaim on world tours. The troupe has a new base in Ntinda, the Ndere Centre where you can wine, dine and enjoy their performances. Cultural performances are also held on themed nights at the national theatre. The National Theater located in the heart of the City is an ideal venue for Music, Dance and Drama Performances. Every Thursday there is a comedy show in its compound. Western and Traditional dance lessons can be undertaken here. The Goethe Zentrum in Kampala (German Cultural Centre) is known for hosting several Art exhibitions, Film Festivals as well as an active language centre. Shopping in Kampala is another memorable experience where you can learn more about Uganda. kampala is never short of shopping avenues irrespective of any categories. It has low end shopping centers, middle end and high end shopping centers. Markets and shops dealing in diverse merchandise are found all throughout Kampala. Farmers’ markets are however different from others because they sell only fresh crop/ food products. Here you find fruits such as oranges, carrots, mangoes, passion fruit, jack fruit, Cavendish banana etc: crop produce such as edible banana, cassava, potatoes, sweet potato, etc: pulses and grains such as nuts, beans, soy bean, peas, simsim, maize and millet. This is a true reflection of how productive agriculture is in the country. An example here is Nakasero market. Low end shopping centers are often bustling with many people and much activity despite space being limited. Owino market is one prominent example. It is a nationwide famous place to purchase secondhand apparels. Traders from all parts of the country flock the market to buy stock. The code for shopping here is having good bargaining skills. One ought to take care for not everybody goes there for genuine reasons. It is not advisable to go shopping in crowded places with valuable items, gadgets or huge sums of money. Kampala has many shopping arcades and malls where shopping is more secure and less stressful. Some of the most famous places include Oasis mall and Garden city mall in Nakasero. Here you will find international and reputable shopping brands such as Nakumatt, Ban café, Uchumi and many banking and ATM outlets. Forest mall in Lugogo opposite the rugby grounds offers a cool and quiet atmosphere for shoppers as well numerous restaurants and coffee shops. Nakumatt village another quiet shopping mall is found in Bugolobi after the industrial area. It also has international food powerhouses such as KFC and all banking service providers. Many of these high end shopping centers also offer credit card and debit card transactions. Speke Uganda Holidays is a locally owned tour and travel company that specializes in designing unforgettable holidays in Uganda and Rwanda. Copyright © 2015 Speke Uganda Holidays. All Rights Reserved.